BREAKING NEWS…Several TCNJ Counselor Education students have created a video that has won the 2014 CACREP Advocacy Week Video Contest. This contest was designed to give counseling students an opportunity to share with the public, future students, and other stakeholders in the counseling profession “Why CACREP is important” from their own perspective. CACREP or the Council for Accreditation of Counseling and Related Educational Programs is the accrediting body for TCNJ’s Counselor Education programs. Congratulations to Samantha Torres and her co-creators, Joe Lee, Julio Rivas, Jillian Vanderberg, and Chantal Vergara for this fun, informative, and award-winning video! Congratulations Ashley Warren! Ashley was recently awarded the 2013 Fullbright-Hays Group Projects Abroad Scholarship. As part of her scholarship, Ashley will be embarking on a teaching opportunity in Costa Rica. Ashley is very grateful to her professors, classmates, and TCNJ, which have all lead her to this great opportunity. 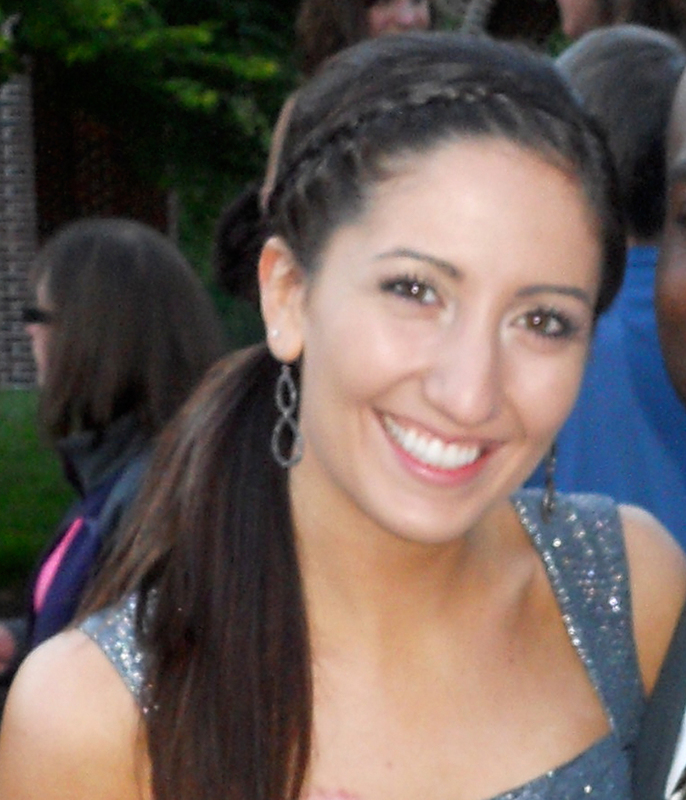 Ashley graduated from TCNJ in 2010 with a B.A. in Spanish and Secondary Education and a concentration in Religious Studies. 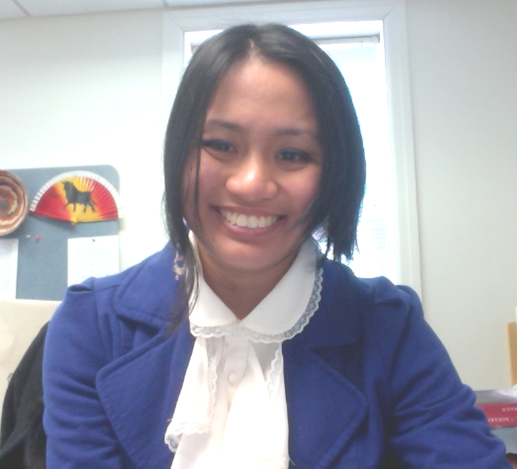 She is currently a graduate student at TCNJ in the MEd in ESL/Bilingual Education program. For the past three years, she has been a Spanish teacher at West Windsor Plainsboro Regional School District. She has enjoyed this experience and loves her students and co-workers. For the Fullbright-Hays Group Projects Abroad program, Ashley will be in the program: “Teaching the United Nation’s Millennium Developmental Goals.” The program is funded by the Fullbright-Hays Group Projects Abroad program and is coordinated by Michigan State University. This experience will bring thirteen teachers to Costa Rica in an effort to enhance global understanding. “While in Costa Rica, we will explore the county’s progress towards achieving the UN Millennium Development Goals and will develop curriculum projects that capture these themes for K-12 students. We will also form a collaborative, professional learning community which strives to incorporate global issues into the classroom, while also discussing strategies to address global issues beyond the classroom,” Ashley explains. Best of luck to Ashley on her new adventure! Congratulations to Nicole Magno! Nicole is in the MA English program and was recently accepted to the Princeton in Asia Fellowship. As part of her fellowship, Nicole will be teaching English at the Dalian University of Technology in Dalian, China. Princeton in Asia is an independent, not-for-profit organization affiliated with Princeton University. The organization was founded in 1898 and sponsors over 165 fellowships in 20 countries. Last year, the program had 170 fellows and interns in Asia. The main mission of this program is to promote good will and understanding between the East and West. “I have been incredibly blessed during my one year of graduate studies with the TCNJ English department who have challenged me in so many different ways. Princeton in Asia is going to offer yet another year of intense challenges and new struggles. However, I know I’m going to learn so much, from acquiring new language skills to exploring what it means to be a global citizen. I am excited. I am anxious. But most of all, I am so grateful to everyone who has helped me grow and become a young woman who is ready to take on new adventures,” exclaims Nicole. Congratulations Nicole and good luck on your new and very exciting adventure! Alyssa SooHoo – Autism Advocate and Awareness Week Organizer. Alyssa SooHoo is a 5th year Special Education graduate student who is very involved in projects for students with disabilities, especially Autism. She recently taught abroad at the International School of Paris and is now teaching a self-contained Autism class in New Jersey. Alyssa became interested in supporting individuals with Autism while in eighth grade and volunteering at a camp for individuals with special needs. During her freshman year of high school, she began an independent research project focusing on Autism, which continued throughout her high school career. Developed and organized by Alyssa, Autism Awareness Week has been occurring on campus every April since 2010. Alyssa knew Autism was becoming a prevalent disorder and she wanted to spread on-campus awareness about the issue. Planning the event included: finding speakers, creating presentations, and managing the budget. In 2011 she expanded the single event to a weeklong mission, helping individuals with Autism by creating awareness. “Society is often quick to judge people who are different; awareness is a key stepping stone to acceptance, which is what is truly needed,” explains Alyssa. Past Autism Awareness Weeks have featured concerts, professional panels, t-shirt sales, movie screenings, fundraisers, and prominent speakers, such as Ari Ne’eman and David Finch. Last year’s Autism Awareness Week was extremely successful and included more than twenty student organizations and was even featured on NBC’s The Rock Show with Brian Williams. The events scheduled for Autism Awareness Week 2013, which will be held on April 1, 2, 3, & 5, are a cupcake giveaway, parent-professional panel, fundraisers, faculty presentations, human puzzle piece demonstration, and a bingo game. We thank Alyssa for her advocacy and dedication to TCNJ and individuals with disabilities! Beth Amicucci, one of our 5-year Special Education graduate students, was recently featured in The Signal’s article, “Students Help Tutor in Prisons.” This is because, despite a busy academic and personal schedule, Beth devotes her Friday nights to help tutor inmates as a volunteer for The Center for Prison Outreach and Education. The Center works to provide educational programming to local inmate populations through the efforts of TCNJ professors and students. In addition to tutoring, Beth is currently conducting a book drive for The Center for Prison Outreach and Education. To date, she has successfully collected over 100 copies of the Freshman Seminar summer reading book, Revolution 2.0. The Center is also collecting other titles for courses taught at the prisons. You can visit http://cpoe.pages.tcnj.edu/2012/10/15/book-donations-needed/ for information on the book drive. Beth encourages other students to participate in this rewarding volunteer opportunity. Students not interested in tutoring can still help the organization. There are opportunities to manage the website and Facebook page, or help Beth with the book drive. For more information, visit The Center for Prison Outreach website at http://cpoe.pages.tcnj.edu/ and Facebook page at http://www.facebook.com/pages/Center-for-Prison-Outreach-and-Education/191875064167757. It’s with great pride we highlight Beth Amicucci! Keep up the great work, Beth! On Thursday, November 8, two of our MA English graduate students, Melanie Frances and Courtney Polidori, traveled to North Carolina to present their research at a prominent regional conference, the South Atlantic Modern Language Association Convention, which was held in Durham from November 9-11, 2012. Melanie Frances presented on “Doreen Valiente’s Scrapbooks: Folklore and Feminism,” which was a project that grew from her experience conducting archival research in the Museum of Witchcraft in Cornwall, UK in 2011 as part of Dr. Michele Lise Tarter’s study abroad experience. Courtney Polidori presented an ecocritical reading of Christina Rossetti’s poem “Goblin Market” and argued that the poem was a ballad of the Victorian locavore movement. She originally wrote the paper for Dr. Larry McCauley’s graduate course 19th Century Green. Both presentations were very well-received and inspired warm, thought-provoking discussion after their panels. Frances was approached by a magazine publisher about possibly publishing her work, and Polidori was asked to chair next year’s SAMLA panel on prison writing, since she will be teaching a memoir writing class in a women’s prison next semester with Dr. Tarter. Polidori was also asked to present her research again for the Victorian Institute next October in Tennessee. Both women had an outstanding conference experience, and say it was in part due to the fact that they had one another. In addition to sharing a room and eating meals together, they were able to offer each other insight into the other’s presentation. For instance, Frances created business cards to help with her networking, inspiring Polidori to do the same. The students say one of the most memorable events during the conference was when they discovered a fantastic Turkish restaurant in Chapel Hill. The conference also shaped their future plans because both students learned the importance of the emerging field of Digital Humanities and are looking into pursuing coursework in that area after graduation from TCNJ’s master’s program. Melanie and Courtney will tell about their conference experience on December 3, as part of a panel they put together to help other students find the confidence to present their own papers at conferences. The panel is called “How to Present Your Scholarship at a Literary Conference” and will also feature English graduate adviser Dr. Tarter, current graduate student Nicole Magno, and MA alumni Samantha Atzeni. The event will take place on Monday, December 3 from 4-6pm in Social Sciences Building 324. All majors are welcome and refreshments will be served. Congratulations are in order for, Master of Arts in English student, Melanie Frances! On November 9th Melanie presented her work entitled “Doreen Valiente’s Scrapbooks: Folklore and Feminism” at the South Atlantic Modern Language Association in Durham, North Carolina. Known as the mother of modern witchcraft, Doreen Valiente kept extensive journals and scrapbooks chronicling her interaction with a world on the edge of social and political change. The scrapbooks focus on Valiente’s studies in archeological and folklore spirituality. While working with the Museum of Witchcraft in Boscastle, UK, Melanie archived the personal scrapbooks of Valiente and discovered a blend of pre-feminist religious artifacts. “My presentation and poster session will show that the Doreen Valiente’s collection provides an excellent resource for a feminist perspective on religion, a thorough study of British folklore, an in-depth perspective on the media perception of witches in the 20th century, and an invaluable study of the effects of the gaze on femininity,” Melanie explains. Thanks for the fascinating explanation, Melanie. We trust your poster session was a great success!